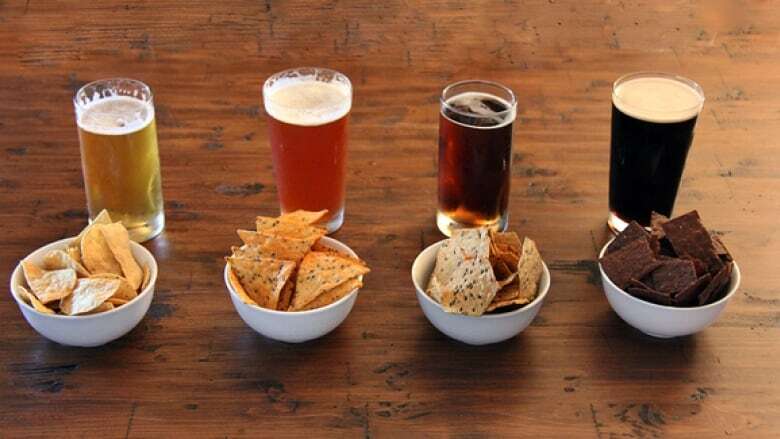 The perfect marriage of malt and salt, beer and chips have a long and delicious history together. Ice cold brew, the world's oldest and most popular alcoholic drink, has long been consumed with the baked and fried snacks. Edmonton's Stephan Bezan is on a mission to find perfect pairings. The lover of local artisanal potato chips is a certified cicerone, a beer sommelier, and manager of the beer department at Sherbrooke Liquor store. "My love of chips started first. Anyone who knows me, knows it's my absolute snack food, favourite food in general, really," Bezan said in an interview with CBC Radio's Edmonton AM. As a beer department manager, he keeps track of almost 2,000 different types of beer, he said. "I just had this light bulb moment, why don't I start pairing beer with chips? It would be perfect." After diligent research Bezan has come up with four ideal combinations, using only made-in-Alberta craft beer selections. "There is a whole bunch of different varieties of beer and same thing with chips, you can have a nice, light lager or really strong imperial stout," said Bezan. "And same with chips. You can have a really nice, light and crispy chip or a really heavy-gauge ripple, as I like to say." According to Bezan, this mildly-roasted malt, brewed in Red Deer, perfectly complements the chips' rich, hot and pork-sizzling BBQ flavours which include hints of chipotle, smoke and tomato. Though Bezan said the Doritos brand is best known for its "cheese flavours with various levels of stank," enticed by this new dill offering, he decided to give them a shot. And he was pleasantly surprised. The sharp and zesty dill of these tortilla triangles pairs perfectly with Blindman Brewing's Kettle Sour Series, a citrusy hops brewed in Lacombe, he said. Brewed in Edgerton, Alta., this "nice and balanced" lager pairs beautifully with this salty classic, and makes for the perfect snack for hot days on the patio. "It's not too hoppy, has a kind of sweeter malt character to it, which I think stands up well to the chip." Bezan recommends beer lovers help quench the salty "lip-blistering" quality of this chip with the round caramel flavours of this Alberta-brewed lager. "If it's a really big flavourful chip, I'll try to get a big flavourful beer."